Abby Hamlin is a New York City based real estate developer and civic thinker. In 1998, she founded Hamlin Ventures, which today, remains one of a handful of successful woman-owned development companies. Recently, the New York Times credited her eponymous company as the catalyst for a resurgence of townhouse development in Brooklyn, noting that the design of her two projects, 14 Townhouses and 9 Townhouses “set the bar high” for those who followed. Prior to forming Hamlin Ventures Ms. Hamlin was President of Swig Weiler & Arnow Mgt. Co., Inc. a premiere Manhattan-based commercial real estate company that developed, owned and managed 8 million square feet of office properties in New York City and San Francisco, as well as the Fairmont Hotels. Ms. Hamlin was with Swig Weiler & Arnow for almost fifteen years, spearheading a number of large-scale development projects and managing the organization for its private owners. 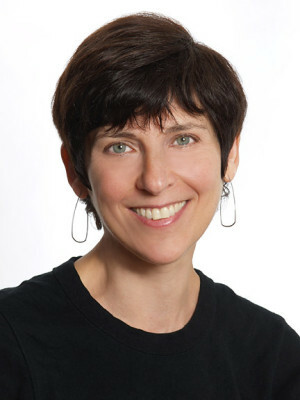 An active civic leader, Ms. Hamlin is a member of the board of the Downtown Brooklyn Partnership and has led several of its key public design initiatives, including the CLS BID Vision Plan (a streetscape plan for Downtown Brooklyn), and “Re-Imagining the Wall,” a design competition that brought works by community arts groups (Groundswell), emerging and recognized artists (Steve Powers) to Downtown Brooklyn’s blank walls. Recognized as an expert in the field of public design, Ms. Hamlin was a member of the board of the Van Alen Institute for Public Architecture from 2001-2010, and was its Chair from 2007-2010. As Chair she organized numerous public design events and design competitions including: Project Eco: Delta, Parks For The People, and Life at the Speed of Rail. Ms. Hamlin is a frequent participant in design juries. Most recently she served as a juror for the National Endowment For the Arts, the Association of Collegiate Schools of Architecture, the City of New Rochelle and the Enterprise Community Foundation. This year she will serve as an advisor to the Mayor’s Institute of Design. At present, Ms. Hamlin is also a Trustee of Art Omi, an outdoor sculpture park and artist’s residency program in Ghent, New York, and a board member of Trainor Dance. Since 2010 Ms. Hamlin has been an adjunct professor of real estate development at the Graduate School of Architecture at Columbia University teaching both core development classes and serving as Director of Curriculum. Ms. Hamlin holds a B.A. from Sarah Lawrence College and a Masters of Urban Planning from Princeton University.